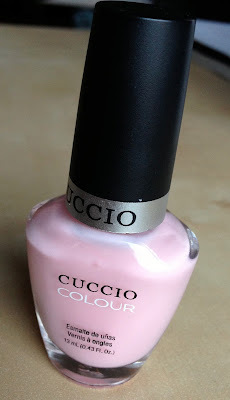 So as per my May 2013 TopBox, and to my great delight, I received a full sized nailpolish from Cuccio Colour in Texas Rose. I'm the kind of girl who already has a lot of pink nailpolishes, so I wasn't super impressed when I received, what I thought was, just another pink nailpolish in my May Topbox. 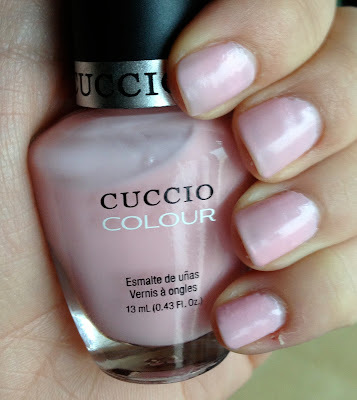 But, to my happy surprise, when I put this on my nails I found that it went beautifully with my olive toned skin; the colour really "popped" against my skin! Texas Rose is a beautiful light pastel pink with yellow undertones, and since it's a simple pink colour it's easy to pull off in any season. I personally love this colour and have even received a few compliments on it. I can attest to the fact (altready!) that I will be wearing it again and again. Good job Topbox, great pick! Did you ladies received the May 2013 Topbox?